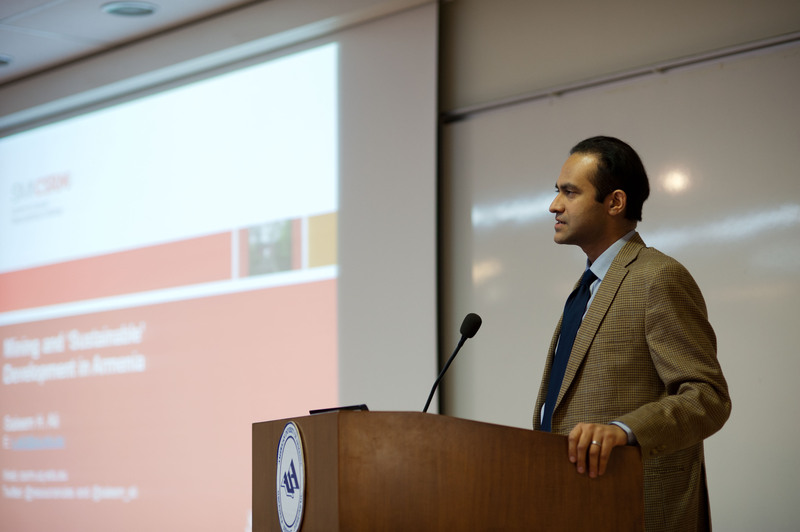 The College of Business & Economics at American University in Armenia recently hosted two two distinguished speakers who lectured on Human Resource Management for students enrolled in the MBA program's Managing People and Organizations course. Faculty and researchers from the American University of Armenia's College of Health Sciences (CHS) participated in a series of international scientific conferences in October and November. Women entrepreneurs from across Yerevan and Armenia's regions gathered at the American University of Armenia on November 24-25 for a two-day conference focused on uncovering new opportunities for women entrepreneurs. The American University of Armenia (AUA) participated last month in an annual get-together of educators from around the world to discuss environmental and sustainability topics in the education sector.